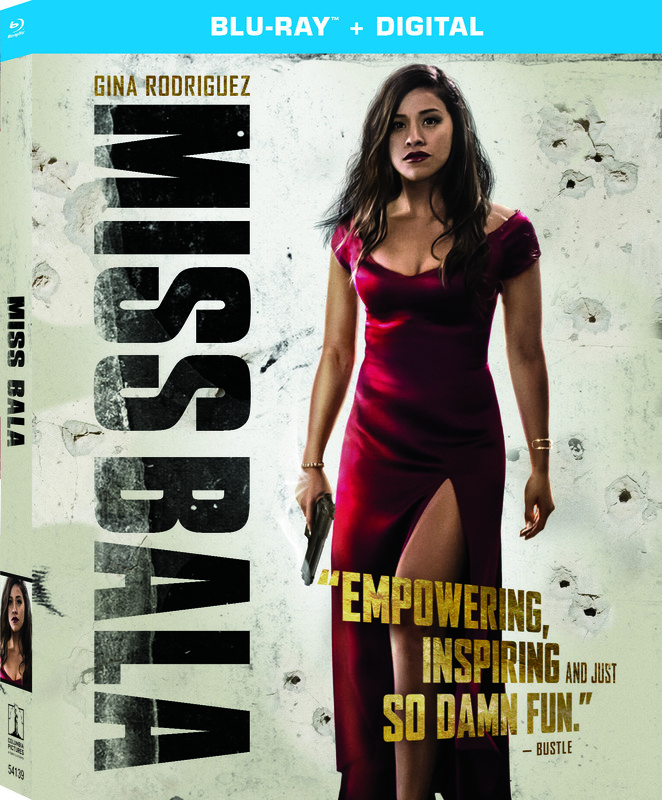 CULVER CITY, Calif. (March 18, 2019) – Golden Globe® winner, Gina Rodriguez (Annihilation, “Jane the Virgin”) takes charge in the high-octane action adventure, MISS BALA, debuting on Digital April 16 and coming to Blu-ray and DVD April 30, from Sony Pictures Home Entertainment. Caught in the perilous world of a brutal cross-border cartel, a young woman finds powers she never knew she had as she seeks to rescue her friend. Hollywood’s newest heartthrob, Ismael Cruz-Córdova (Mary Queen of Scots), stars alongside Rodriguez as the cartel kingpin, whose growing attraction to his strong-willed female hostage raises the stakes for both as the CIA, DEA, and rival cartels close in. Rodriguez and Cruz-Córdova are joined by co-stars, Anthony Mackie (Avengers: Infinity War) and Matt Lauria (“Friday Night Lights”) in this female-driven action story directed by Catherine Hardwicke (Twilight) from a screenplay by Gareth Dunnet-Alcocer (Contrapelo).